Elegant Moroccan style tile patterning decorates white glass shade of this gorgeous contemporary cylinder accent lamp. With a modern cylinder shape, this beautiful white glass accent lamp handsomely refreshes exotic, other worldly style. The lamp features a beautiful Moorish tile pattern that offers texture. Stands on a metal base. Overall: 11" high. Glass is 10" high x 4 1/2" wide. Metal base is 5" wide. Uses one maximum 60 watt standard base bulb (not included). On-off in-line cord switch. White glass cylinder accent lamp from 360 Lighting. Moorish tile pattern on the glass. Metal base in a silver finish. Needed a small discreet lamp for the top of a cabinet (hutch) for movement sensor bulb. I have paraplegia and need an easy to reach on/off switch for my bedside table lamp. This lamp meets that need, and also has a pretty glass pattern which, according to reviews, still gives off a fairly bright illumination. It's small footprint will be helpful as well, I hope. We'll see. Perfect for vanity in bathroom ! Needed more lighting in kitchen. Perfect for counter. I have one already and wanted a pair. It is contemporary, simple, unobtrusive, decorative and has a glass shade which is easily cleaned. As a retired senior I believe that it is priced reasonably. Looking for two small lamps that I can put on my new makeup table. With two 60-watt bulbs should be enough light. Hope these lamps will provide the light I need. I like this lamp because it is unique and I like to decorate outside the box. It fits really nicely in an unusual setting. Also nice price, thank you! To replace a similar lamp that has broken. 2 Questions- 1) How far down the cord from lamp is the switch? & 2) Is the cord white? BEST ANSWER: The switch from the base measures 16.5" and features a clear cord. Can a bulb that gives off a fire flame appearance be used in this lamp? Yes, I purchased this lamp for use with the "flame bulb" and it works perfect, the bulbs wattage is not harmful to the lamp or a fire hazard, however I only use it as a 'night-lite' in the bedroom. Is there an on/off switch on the cord, or is there a switch on the base? BEST ANSWER: The on off switch is on the cord. The lamp is great and when lit casts a nice pattern on the wall. 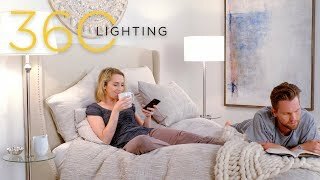 I was looking for inexpensive lamps to provide extra lighting in a bedroom, as well as a lamp that could lighten up a dark corner in my dining room. I am very happy with my purchase. The lamp fits fine on a 6" wide shelf in my dining room and has made a big difference. I'm using another one as a bedside lamp. I also appreciate the glass shade which is frosted with a design on it that's not too fru-fru. These were exactly what I was looking for and could not find anything similar in my area. I have them on top of a tall entertainment center. With low wattage bulbs they give me the light I want to relax in the evening without turning on lamps. Great design. Just the right amount of light for a small dining room. If needed, I can move from room to room! I wanted a soft light for my bedroom. This is a pretty design, but the light that it emits is more Industrial & starck. You can see the bulb through the cylinder once it's on. And when I walk around in the room, I have this shadow. It is not a soft light..the cylinder does not filter at all. Great for adding bit of light in small dining area or on nightstand. These small table lampsavailable here as a handy set of 2 lampsare operated via a handy on-off touch feature.